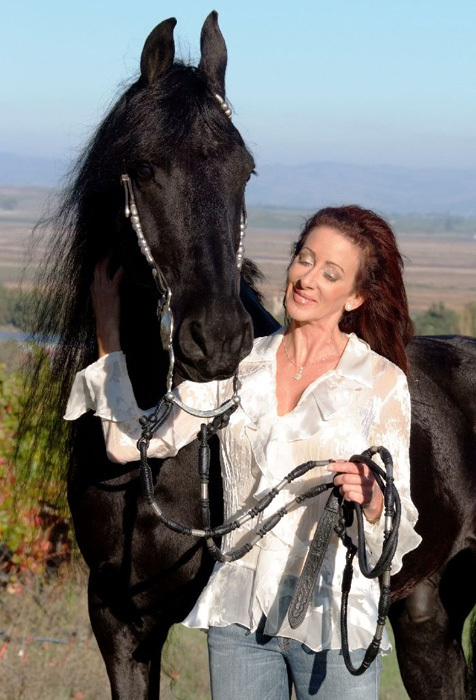 Sadly, Black Sterling’s 21 year life ended on September 13, 2014 after a short battle with an illness. 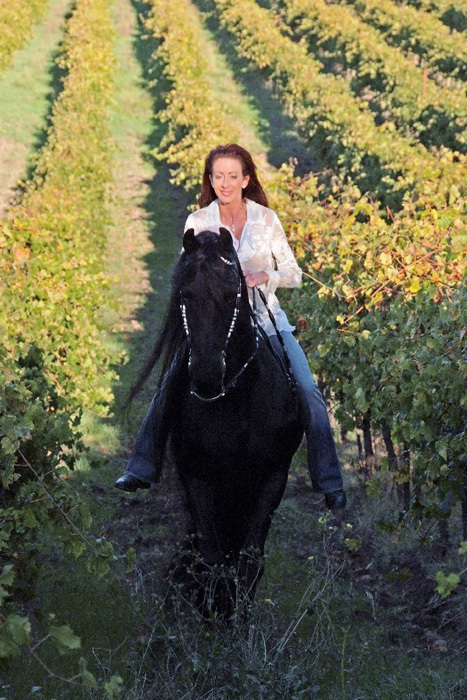 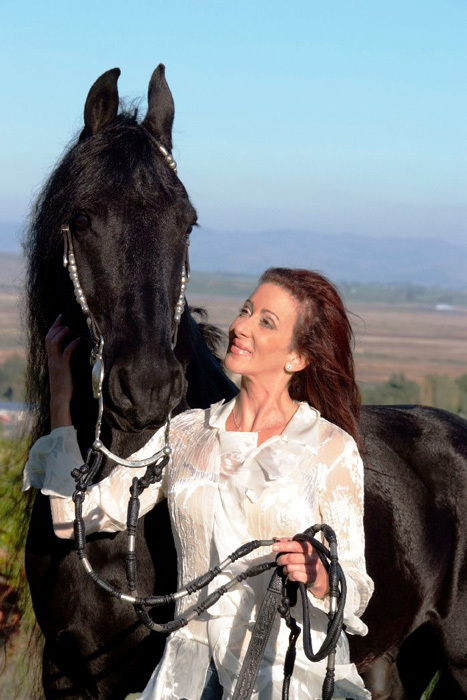 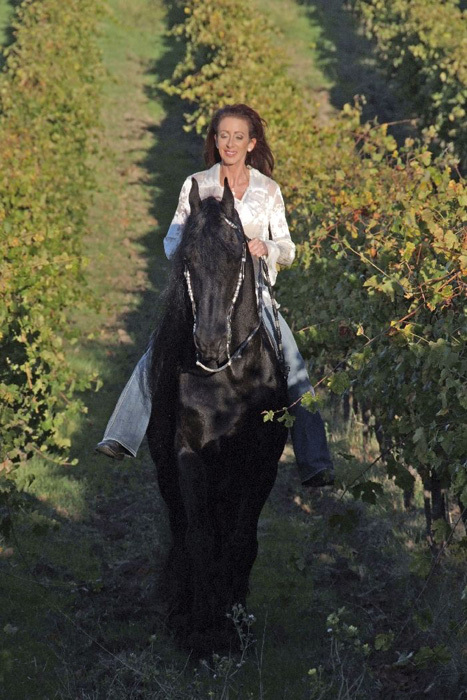 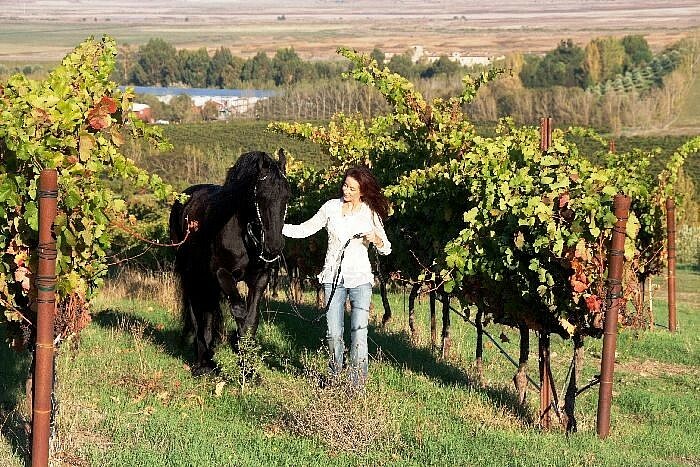 Read the tribute to this true ambassador for the Friesian breed here. 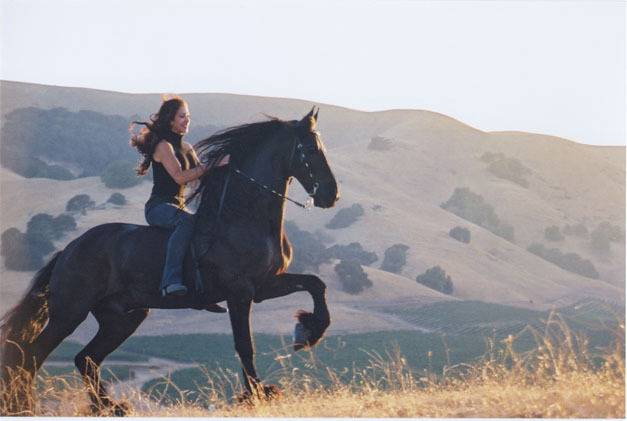 Black Sterling was the first in a long line of Friesians that Janna Weir acquired from Holland. 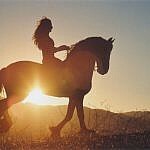 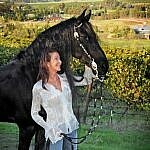 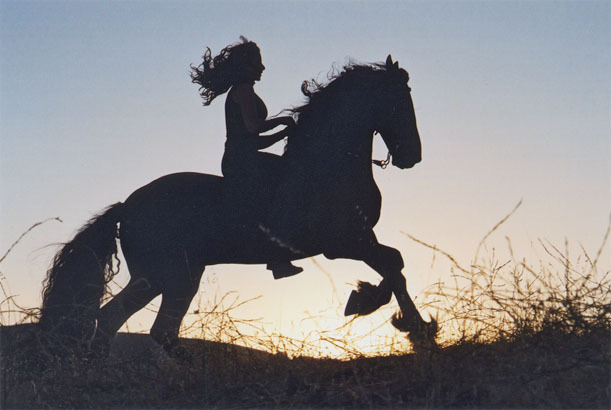 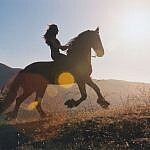 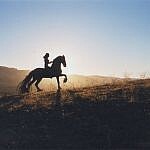 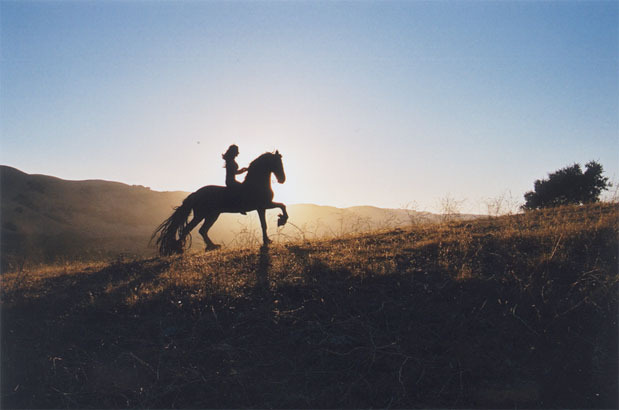 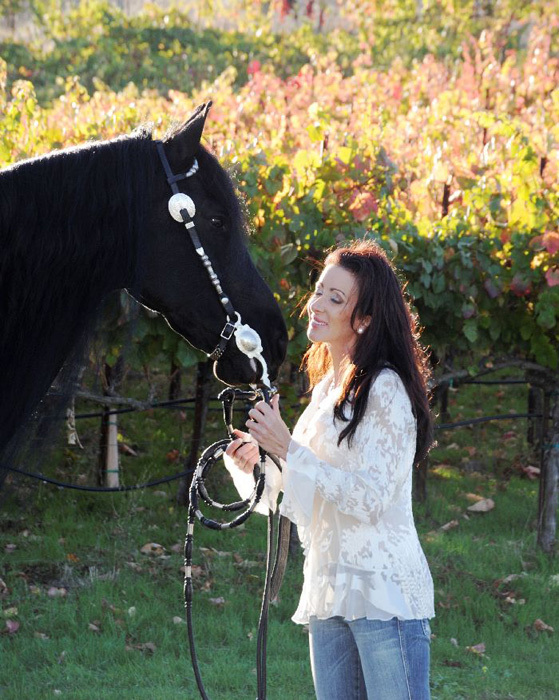 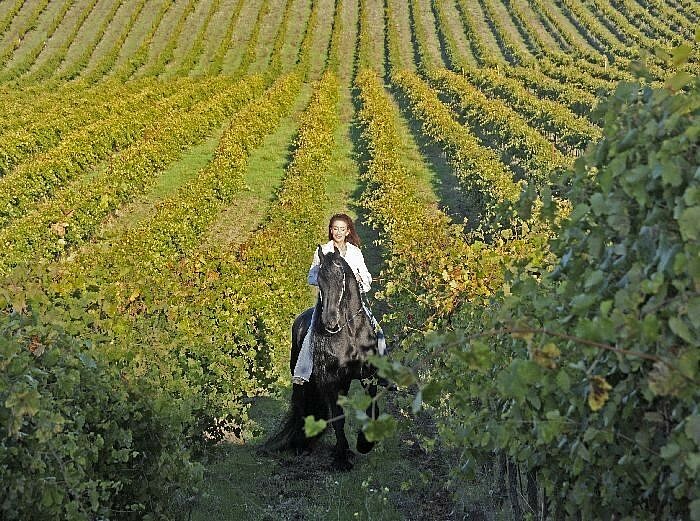 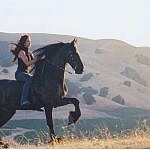 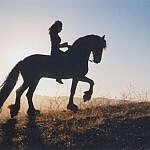 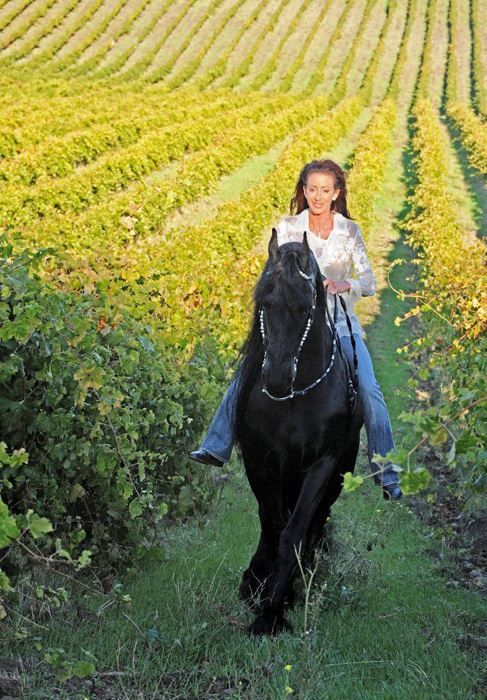 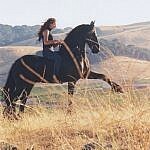 Her premier show facility in northern California was named after Black Sterling, her first Friesian. 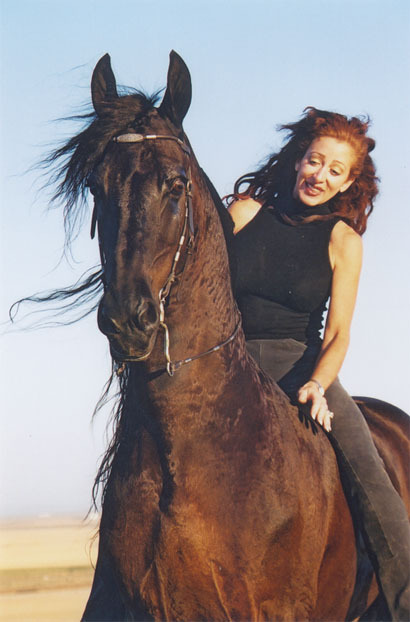 Janna finishes their various stages of training, getting them ready for the show ring, and sells them to amateur riders, hoping they will show them, or enjoy pleasure/trail riding them, and promote the breed in this country. 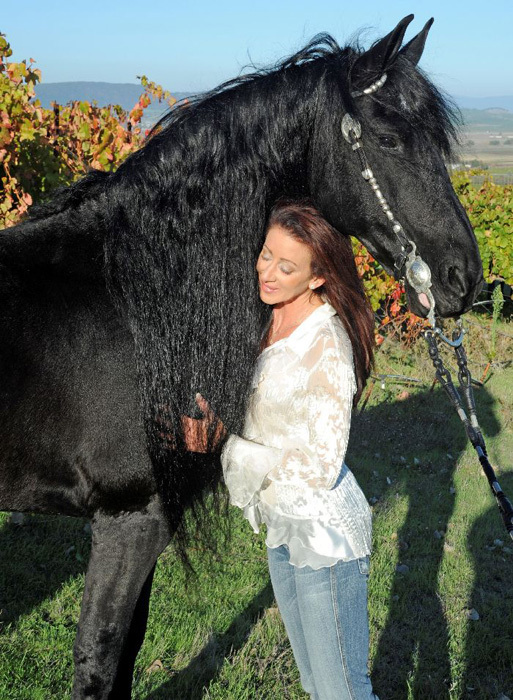 Black Sterling was destined to be star from his early days in the Netherlands . 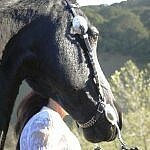 He was bred for elegance in Holland. 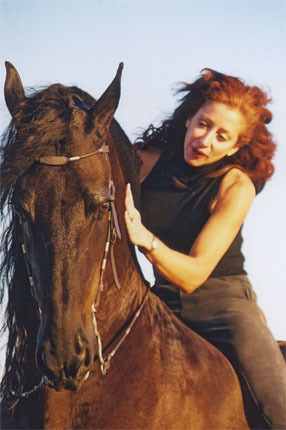 A long line of predecessors date back to at least the thirteenth century with some Arabian blood introduced through the Spanish Andalusian in the 16th & 17th centuries. 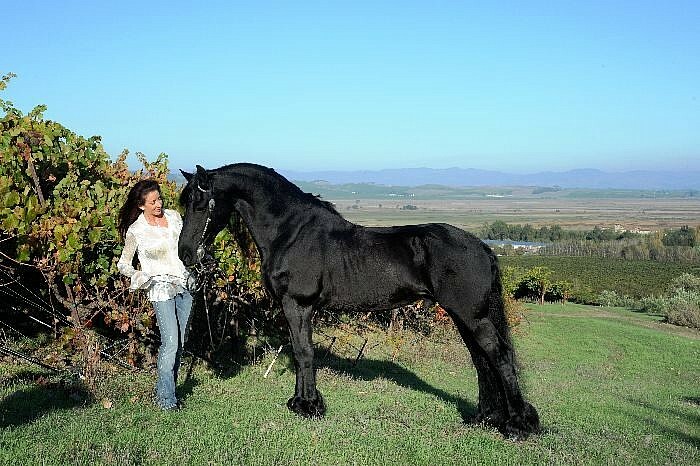 Through the centuries the Friesian Government has made many regulations in order to safeguard good breeding. 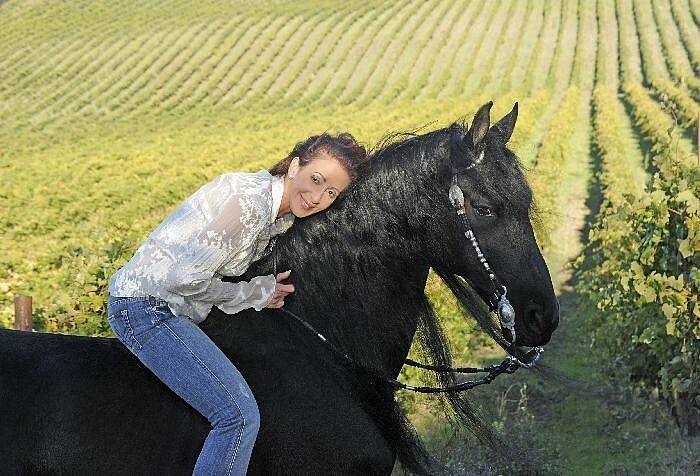 During the last two centuries it has been bred pure. 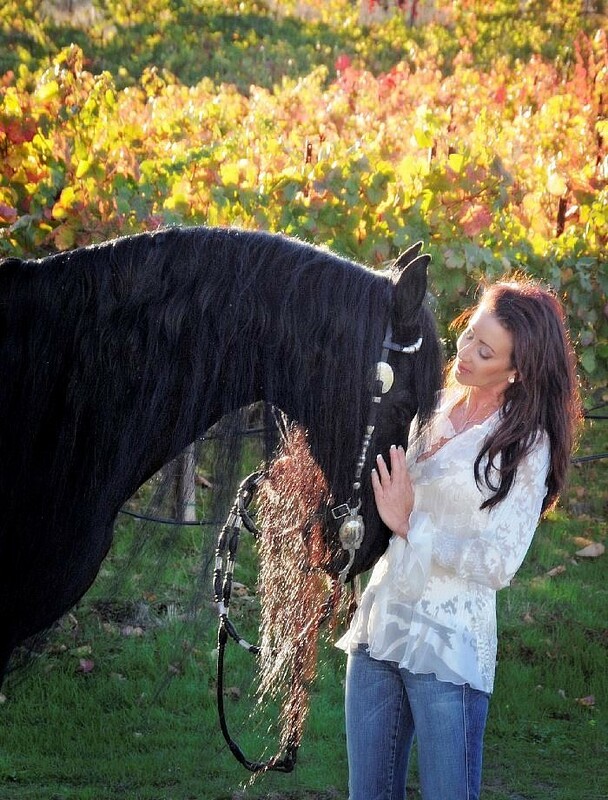 As an 18 yr old, Sterling was the Amateur Western Pleasure World and National Champion! 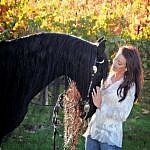 We first saw this Jasper x Oege Pref stallion at the Stallion Show in January, 2006. 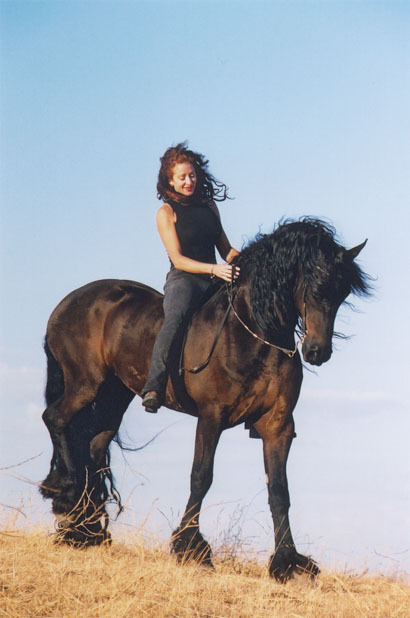 We watched numerous stallions strut their stuff in Leeuwarden and knew he was THE ONE, as we watched Ate demonstrate his extended trot, with unbelievable grace and that airy fluid movement…..WOW. 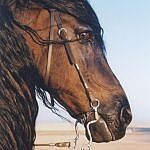 We liked him better than any of the Approved Stallions! 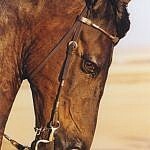 Ate was fantastic under saddle, he is hot!!!!! 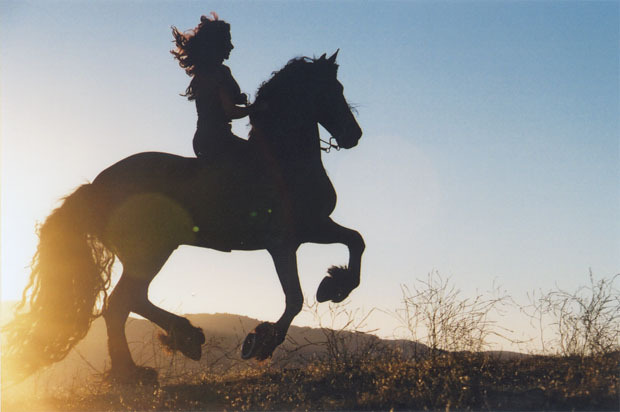 A WOW. 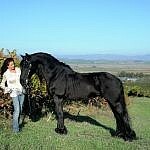 Now gone, this was one of the NICEST Friesians we have ever been honored to own and show. 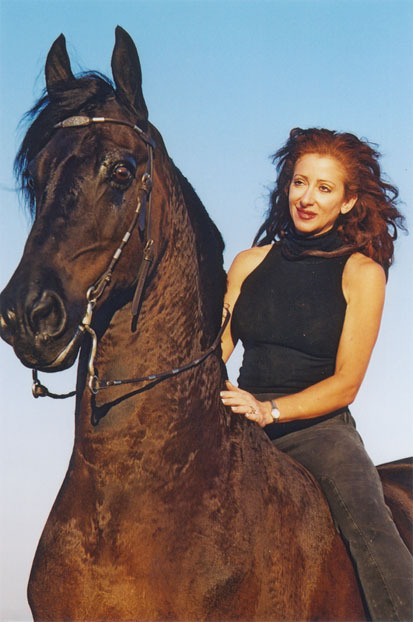 Janna and Ate were crowned World and National Champion Amateur Dressage Show Hack AND Amateur English Show Hack Champions, as well as Amateur Huntseat Pleasure World Champions. 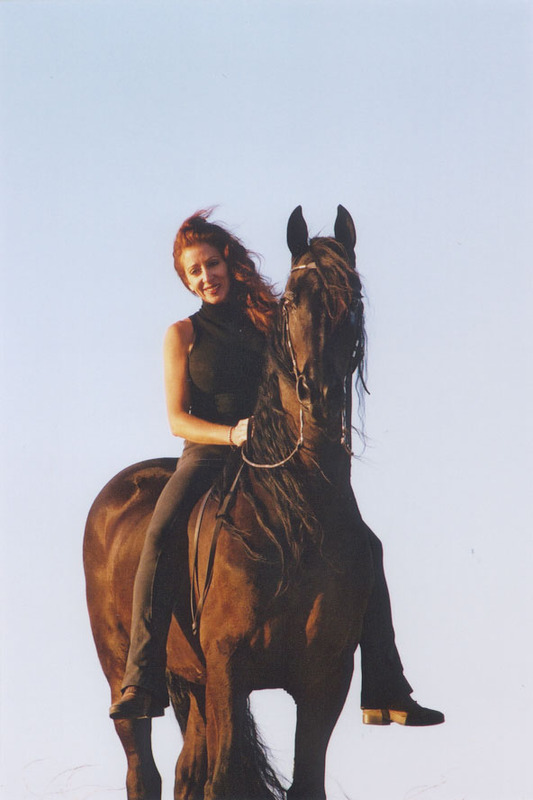 We trained Ate to go western as well, and he neck reined to perfection, and had the best lope EVER! 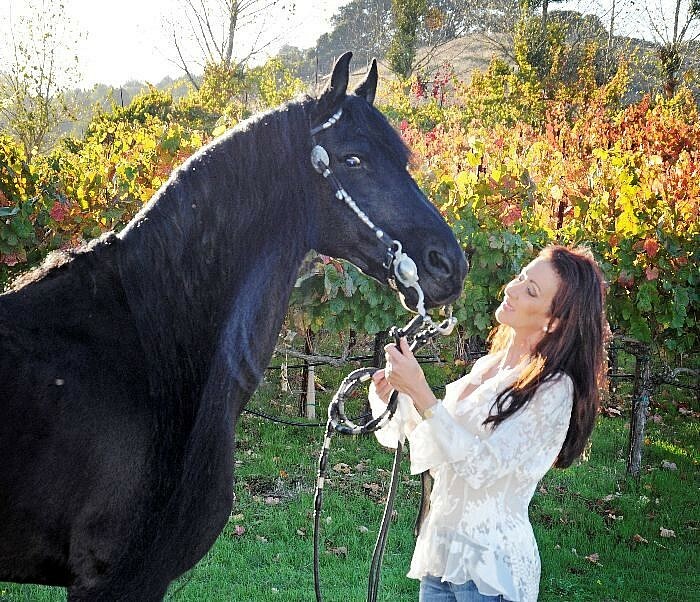 Ate and Janna also showed in Open Pleasure driving classes and Open Western Pleasure classes and were undefeated! 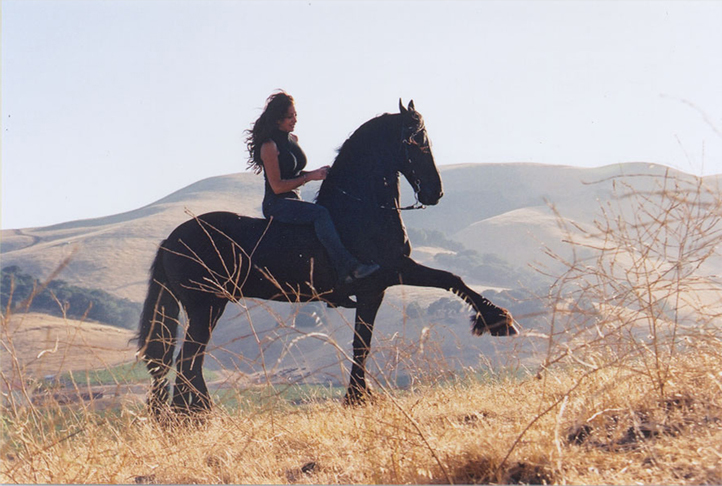 After being retired from the show ring, Janna enjoyed this special Jasper ster gelding at Los Altos Hounds fox- hunting events as well as horse camping and trail riding weekends with the “girls”!!! 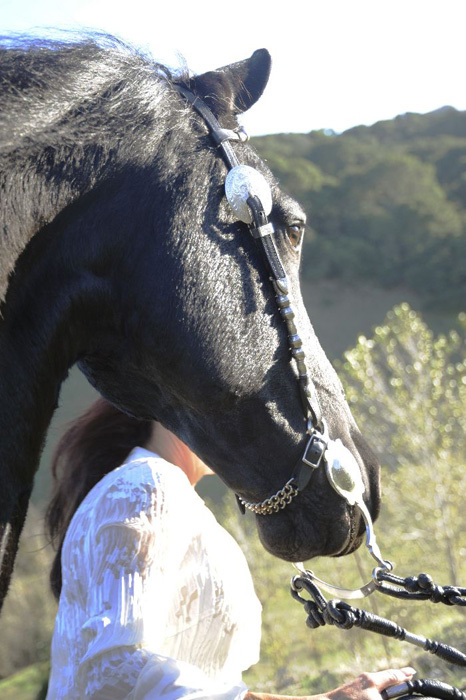 He earned his “STER” status at the Santa Rosa keuring, and was 3rd level dressage with solid flying changes. 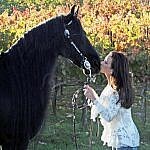 Ate fan Bartleheim was Janna Weir’s personal and most favorite show horse EVER.